Paul Johnson announced earlier this month that redshirt junior A-back Dennis Andrews has been dismissed from the football program. Andrews, who finished with 105 yards on 15 carries last season, was a candidate to to start alongside redshirt senior Broderick Snoddy in the upcoming season. Of the A-backs on the roster prior to Andrews’ dismissal, he had the second most career carries and career rushing yards, trailing only Snoddy in both categories. This was not the first time Andrews faced discipline from the football program. Andrews was suspended for the first two games of last season for an unspecified violation of team rules. The dismissal of Andrews, along with losing four senior A-backs from last year’s team, leaves Tech thin at the A-back position. Tech’s returning A-backs combined for only 19.9 percent of last year’s rushing yards from the position and only 15.3 percent of the carries. Snoddy is the most experienced of the returning A-backs with 65 career carries and 483 yards, but he is coming off a season ending leg injury. According to the most recent depth chart released by Coach Johnson, redshirt junior Isiah Willis is penciled in to start opposite of Snoddy. Willis, a non-scholarship player out of Lassiter High School, has only four career carries for 40 yards with zero receptions while appearing in eight of Tech’s 14 games last season. Tech has had success in the past with walk-ons at A-back. Robert Godhigh, who came in as a walk-on before eventually being put on scholarship, rushed for 744 yards and seven touchdowns during his senior season. Listed on the depth chart behind Snoddy and Willis are redshirt freshman Qua Searcy and redshirt freshman Clinton Lynch. 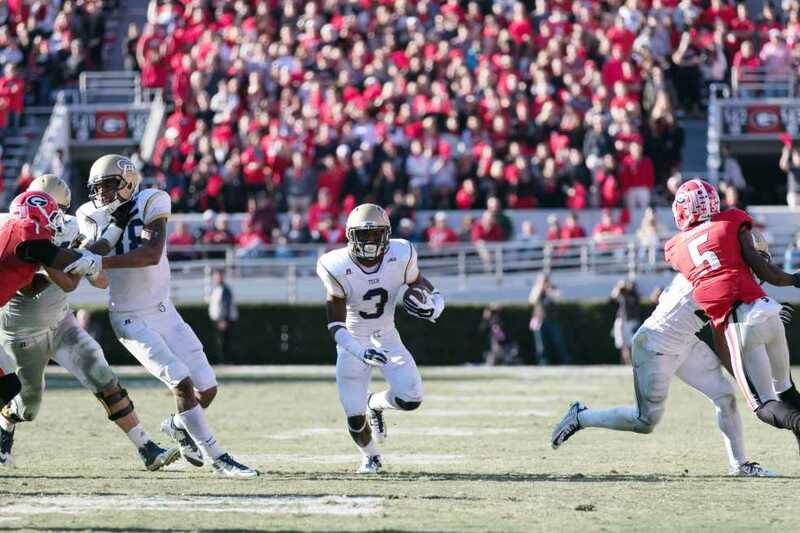 Lynch came to Tech as an A-back, while Searcy switched to A-back from receiver about midway through last season. Tech also has quite a few true freshmen, including Nathan Cottrell, Marcus Marshall, and Omahri Jarrett, who could compete for playing time this fall. It is unclear at this point whether Andrews will remain in school at Tech to complete his degree or if he will transfer somewhere else to finish up his two years of remaining eligibility.